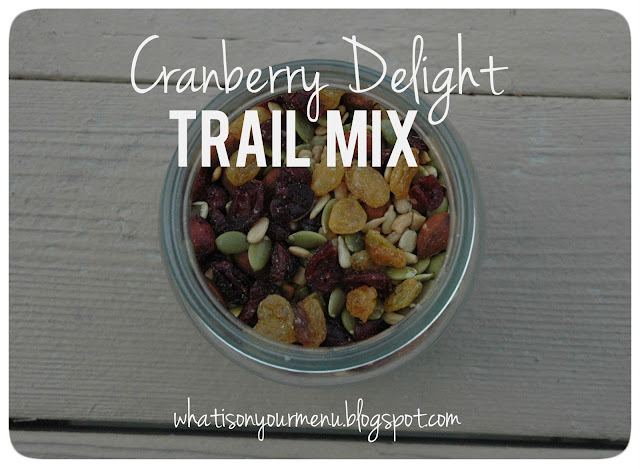 This Cranberry Delight trail mix is a staple in my pantry and has been for a few years. It's a wonderful mix of craisins, golden raisins, almonds, pepitas (pumpkin seeds) and sunflower seeds. It's the perfect mix of sweet and salty. Before we moved to Washington, we bought this trail mix at our local Smith's. We have a Kroger family store here, Fred Meyer, but they don't carry this trail mix. As soon as we moved here I started making our own. I buy all the nuts and seeds from the bulk section at Winco. I buy Craisins at Costco. The golden raisins I buy either from the Winco bulk section or in a box. Everyone in my family loves this trail mix, except my daughter, but her idea of trail mix is peanuts, pretzels and lots of m&ms. My sons love helping me make it. We get out our biggest bowl and start dumping and stirring. I've played around with different combinations of salted and unsalted nuts. 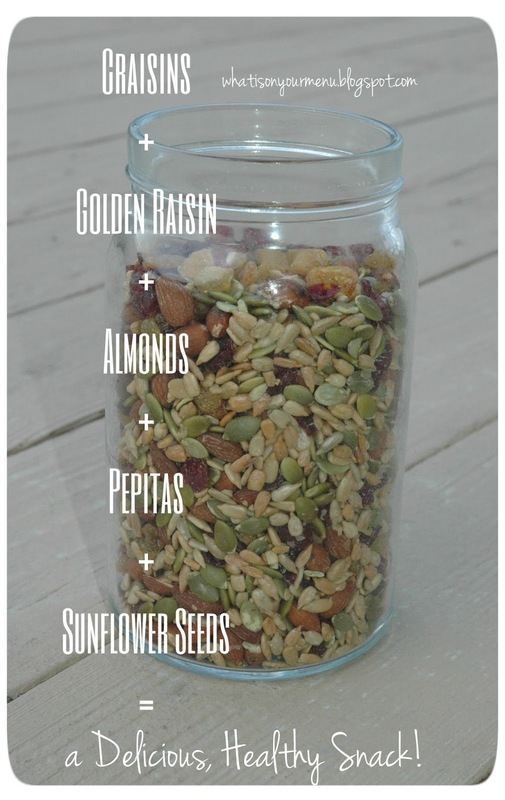 My favorite is to use all unsalted nuts and seeds, except I make sure half of the sunflower seeds are salted. If you do buy salted nuts from the bulk section, I suggest running it through a drainer (dry of course) to shake out the extra salt that settles at the bottom. I love that this trail mix is healthy, gluten free (for those of you gluten free out there) and a great non-processed food (unless you count the craisins as processed...I don't know). I usually have a bag of it ready for snacking at baseball games, for my husband's lunch and a healthy snack for me to eat on the go. In a big mixing bowl add all nuts, seeds and fruit according to your preference. The more fruit you add the sweeter it will be. The more sunflower seeds the saltier it will be. **I have played around with salted and unsalted nuts and seeds. My favorite is to use natural unsalted almonds, unsalted pepitas and then use half salted sunflower seeds and half unsalted. Play around with it according to your preference. You might want to shake the nuts and seeds in a strainer to get the excess salt off that settles in the bottom of the package. Otherwise it can be a little too salty. 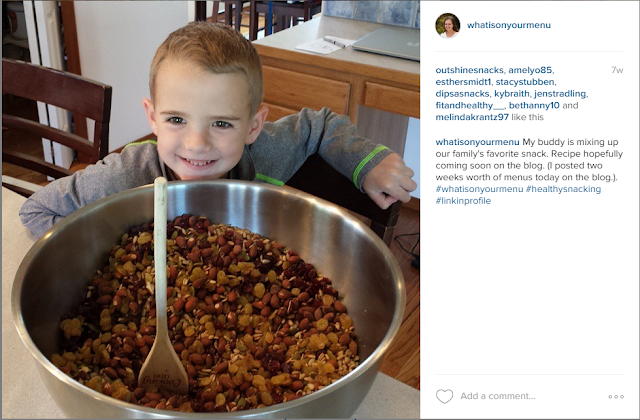 I posted this picture on Instagram a couple of months ago on trail mix making day.